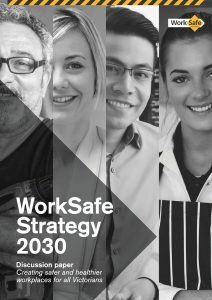 WorkSafe Victoria has released a discussion paper in support of its development of a WorkSafe Strategy 2030 but you wouldn’t know it. At the time of writing – there is no mention of it on the Facebook page, nothing on its news website. The paper is only available through this rarely used community engagement page. “A number of independent reviews undertaken recently have also highlighted opportunities for us to strengthen our approach to regulating health and safety in Victorian workplaces, and in further supporting injured workers. It would be good to know what failed community expectations are being referred to. In fact there are currently 10 readers online and a total of 17934 readers this month!